Web Design Melbourne Florida (eWareness) has been awarded a contract with the State of Florida’s Department of Education out of Tallahassee to create a content management system (using WordPress CMS), new branding, ecommerce platform and high-reliable online communication system. eWareness’ President has been selected as a “Best of Show” Judge for the 2015 WebAwards. Hawk’s Nest contracted with eWareness to get an online marketing campaign that highlighted their uniqueness and beauty yet pull in the online traffic they desired. With our robust content management system eWareness was able to accomplish this and deliver on the customer’s high expectations by merging top-of-the-line website design with dynamic photo galleries, social networking, and traditional marketing materials. 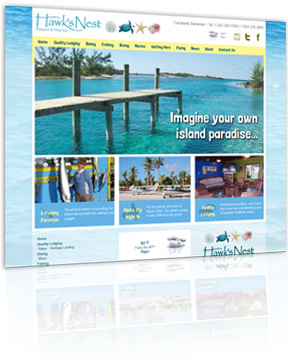 With this online marketing campaign, which includes SEO, Hawk’s Nest is sure to become one of the top resorts in the Bahamas. 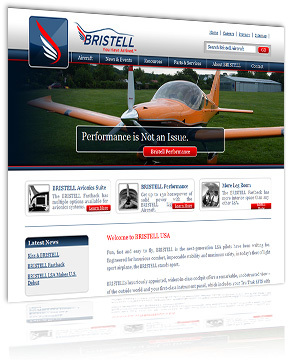 Aircraft manufacturer, BRISTELL USA, contracted eWareness to build a website showcasing their aircraft by using the same attributes (uncompromised craftsmanship and attention to every detail) that is used in their manufacturing process. With this in mind, eWareness custom designed a CMS website to be a sales tool that allows the user to navigate through the site easily and efficiently. The website is designed to be an online brochure for the customer to view all the variables and options available to customize their own airplane. They can view photo galleries, specs, and configurations to help them decide what they want and need in their own customization. eWareness also produced printed marketing material for BRISTELL as well as trade show signage, flags, A-Frames and more. 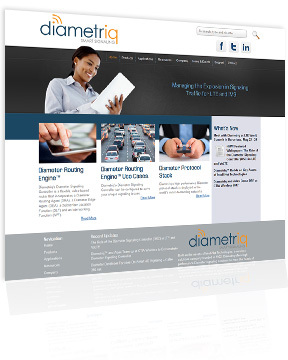 diametriq contracted with eWareness to help with online branding of their Network Convergence Solutions. eWareness created an updated look to their website, set everything up on a futureproof, robust content management system and set up all the necessary plugins to give diametriq’s marketing personnel the ability to easily and quickly create new pages, edit pages and images, add press releases and events and so much more. diametriq is headquartered on Central Florida’s Space Coast in Melbourne. eWareness was tasked with inexpensively creating a new, fully integrated (content, social media, calendar, video/audio downloads, news/pubic relations and more) online presence for Psychic Medium and Lawyer, Mark Anthony of Central Florida. Mark Anthony’s new site uses a content management system that allows him to easily update his blog, event calendar, podcast episodes and more. Mr. Anthony’s website has also seen a dramatically increase in website traffic along with scheduled readings and contacts. Visit Medium Mark Anthony’s new website. Candidate Mitch Needelman chose eWareness to help market his campaign for Brevard County Clerk of Courts using a new website, social media and traditional marketing materials. 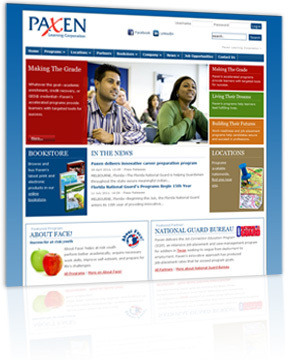 A user-friendly robust website was developed for his campaign, which is easily updated by staff members. And while traditional marketing was used to reach the public, the social media marketing keep information flowing quickly to the voters. All of the marketing materials were designed by in-house designers at eWareness. When Mr. Needelman decided to run for his first term as Clerk of Courts, he came to eWareness. Mr. Needelman won his first term with an overwhelming victory! Using Digital Media Marketing Strategies, eWareness helps Veteran Owned Business Project reach nearly 16,000 members! eWareness created a campaign primarily utilizing digital media marketing strategies (Search Engine Marketing, Opt-In Email Marketing, Online PR) to help the Veteran Owned Business (.com) Project get seen by over 2,500,000 visitors, have over 35,000,000 pages viewed and verify and approve nearly 16,00th member… on a shoestring budget! eWareness was contracted to help Paxen Learning Corporation create a new online branding and marketing strategy which includes features like an integrated content management system (CMS), integrated online bookstore (with eCommerce capabilities), “micro sites” for each of their locations, an integrated news section, interactive slide show, integrated social media functionality and more all with custom graphics wrapped in a easy to use, search engine optimized website. eWareness was contracted to rebrand Florida Housing Authorities Risk Management Insureds (FHARMI) from the ground up. Along with a new website designed with a content management system, a new logo was designed. They are connected with social media and now have integrated newsletters, contact forms and online messaging. eWareness also helped rebrand many of FHARMI’s marketing materials including flyers, office materials and more. eWareness’ Troy Ford to speak at Regional Home Builders Conference about Social Media and Integration of Social Media Marketing and other forms of cost effect marketing. Troy will be discussing the benefits of and demonstrating the successful results of Integrated Social Media Marketing Campaigns. 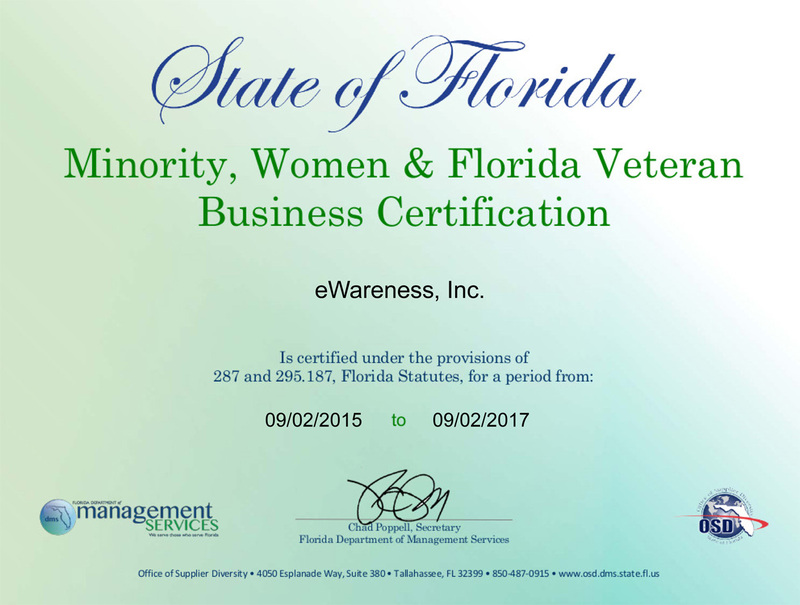 eWareness is very proud to announce that we have been awarded a contract to provide web marketing communications services to the Florida Department of Veterans Affairs (FDVA). 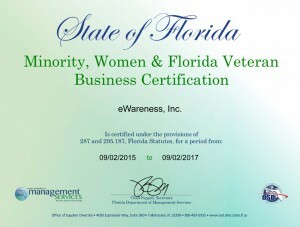 As a CVE Certified Service Disabled Veteran Owned Business (SDVOSB), eWareness takes great pride in helping out the VA and bringing this contract to our growing Space Coast Web Marketing Communications Agency! eWareness was tasked with helping Hypres of Elmsford, New York–a leading B2B and B2g engineering company–rebrand their online presence. Hypres contracted with eWareness to create a fully integrated and functioning content management-driven website that allows various Hypres employees the opportunity to edit all aspects of their website including changing out their slideshow, allowing their PR firm to add press releases and events and giving engineers the ability to upload white papers, data sheets and other technical documents. Please join us in congratulating Brevard County Florida’s new Clerk of the Circuit Court, Mr. Mitch Needelman. 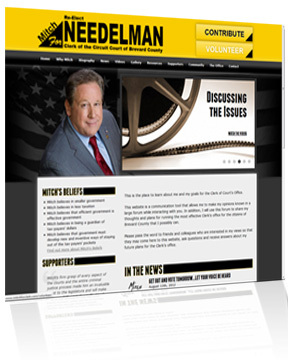 eWareness is very proud to have helped with Mr. Needelman’s online marketing campaign. 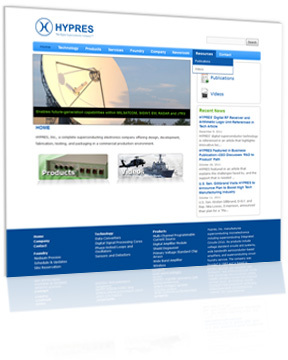 Mosquito Solutions of Central Florida tasked eWareness with creating a brand new website for their new business. From logo creation to website concept, layout and completion, Mosquito Solutions contracted with eWareness to help get an Internet marketing plan together and quickly (and affordably) get a new website online and, more importantly, easily found in Google, Yahoo, Bing and other search engines and directories in order to drive quality traffic to their site. eWareness was tasked with creating a new site for central Florida’s Melbourne High School Band Department. They came to eWareness to create something that they could be proud of that would also help provide important information to students and parents. Melbourne High School Band’s new site uses a content management system that allows for their directors/members to easily update events, change content and more. Their website traffic has also increased dramatically. 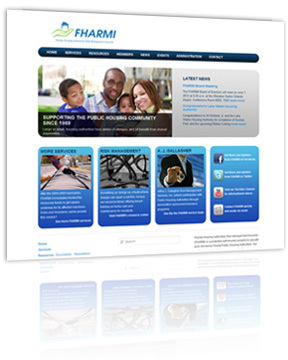 eWareness was tasked with creating a new site for ILS Technology of South Florida. They contracted with eWareness to create something that they could be proud of that would also help them generate additional site traffic. ILS Technology’s new site uses a content management system that allows for their staff members to easily update projects, change content and more. Their website traffic has also increased dramatically. eWareness was recently listed in the July 2010 Internet Retailer Magazine Buyers Guide 2011 under the Search Engine Marketing category. eWareness was tasked with creating a new site for Central Florida’s Rapid Automation. They contract with eWareness to create something that they could be proud of that would also help them generate additional site traffic. Rapid Automation’s new site uses a content management system that allows for their staff members to easily update projects, change content and more. Their website traffic has also increased dramatically. eWareness was tasked with creating a new website for Lori Halbert, Conservative Republican, for State House, District 31. Ms. Halbert’s political website was created using an open source content management system that integrates a photo gallery, volunteer section, news, donation and more. Ms. Halbert’s political online marketing program has already generated numerous volunteers as well as donations. Being built on a political content management system allows Ms. Halbert and her volunteers a quick and easy way to add fundraiser events and news articles in just a matter of minutes. eWareness was tasked with creating a new website for Professional Data Storage & Delivery/CrossCut Shredding, Inc. PDS’ document solutions website was created using an open source content management system that integrates a document storage, document shredding document imaging, and media vaulting sections, compliance, client services and more. They contracted with eWareness to create something they could be proud of that would also help generate additional site traffic. eWareness was tasked with creating a new website for Rob Dale, Republican, for State Representative, District 29. Mr. Dale’s political website was created using an open source content management system that integrates a photo gallery, volunteer section, news, donation and more. Mr. Dale’s political online marketing program has already generated numerous volunteers as well as donations. Being built on a political content management system allows Mr. Dale and his volunteers a quick and easy way to add fundraiser events and news articles in just a matter of minutes. Melbourne, Florida’s eWareness, Inc., was recently referenced in Studio Photography Magazine’s article titled, “Working the Web”. In the article, eWareness’ President discussed the future trends in web-based services for photographers, photo galleries and more. eWareness was tasked with creating a new site for South Florida’s HSQ. HSQ had recently spent a great deal of money having a new site designed that they were very unimpressed with and did not want to show their customers and prospects. They contract with eWareness to create something that they could be proud of that would also help them generate additional site traffic. HSQ’s new site uses a content management system that allows for their staff members to easily update projects, change content and more. Their website traffic has also increased dramatically. eWareness was tasked with creating an online presence for Evektor Aircraft, Inc. Using an open source content management system, eWareness created a dynamic website that allows the client to easily update pages, change images and add content like press releases, seminars and events. The CMS allows clients to easily, quickly and inexpensively update their own content. Our goal is to give clients open options which allows for control of their own content (which means they are not forced into unnecessary long term contracts). Trailblazers Club is an adventurous singles club located on Central Florida’s Space Coast in Melbourne. Trailblazers Club had an outdated site that required many hours of manual work to make any updates. eWareness created a new website that allowed their board of director as well as their several hundred members a much more. After meeting with the board, eWareness created a roadmap for a fully functioning site that would better meet the objectives of the club as well as work to use the Internet to inexpensive build membership. Over the course of several weeks and during several meetings between Trailblazers Club and staff members of eWareness, we created their new site using Joomla and set up an entire online member system that included: 1) an events calendar. 2) a membership application that tied directly into an merchant account system (Paypal) where visitors could sign up online, pay and have a membership login automatically created. 3) interactive photo gallery that allows members to upload photos and/or complete photo albums; however, all photo uploads have to be approved by a member of the Board. 4) Automatic newsletter that is generated from selected articles. 5) Article system that includes site and news updates about events and more. 6) Interactive forum that allows members to make posts. 7) An interactive sponsorship package that allows the Board of Directors the ability to offers sponsorship packages that run ads throughout the entire site. From an administrative standpoint, the new Trailblazers Club site allows the administrative person (or in this case persons) edit all postings, approve/disapprove photos, site and more. Additional services we performed include logo design. More than just a pretty website, a successful business! To us, web design is more than just a good looking site. We help companies who want to make the Internet a piece of their overall marketing strategy. Every project we work on is done with the fundamental reason of building an affordable, attractive, search engine friendly website that quickly, easily and inexpensively brings in quality web site traffic, generates leads and helps to dramatically impact your company’s bottom line: sales of your products and/or services! Click on “Request a Proposal” or contact our Melbourne, FL headquarters at (321) 821-SITE to request our web brochure and to join the numerous businesses along Florida’s Space Coast who have utilized eWareness’ web marketing services to build a professional website, help generate leads and, more importantly, use the Internet to help increase sales of your products and services. Open Up Space Coast and Reach The World! President of Melbourne Florida’s eWareness recognized as Yahoo Search Marketing Ambassador. As an elite web marketing professional, Brian K. St.Ours of eWareness is a certified Yahoo Ambassador. As a Yahoo Ambassador, Mr. St.Ours has the capability to help companies create advertising campaigns online and to help companies with current campaigns better maximize their online advertising dollars. Please click on the Yahoo Ambassador logo to see Yahoo’s official acknowledgement of Mr. St.Ours’ certification as a Yahoo! Search Marketing Ambassador, demonstrating knowledge of Yahoo! Sponsored Search and Local Sponsored Search products. eWareness helped build this very professional and unique website that lists muscle cars, collector’s cars and classic cars for sale online. Check out the unique menu which includes a shifter that shifts up and down through each button. We also helped make this site one of the most frequently visited sites online for muscle cars. Click here to visit the Florida Muscle Cars’ site. The success of the Florida Muscle Cars’ search engine marketing campaign was seen almost immediately. Potential buyers from all around the world continue to contact Florida Muscle cars about the various cars for sale on their lot. More importantly, they have had 1,000s of emails from people around the world looking to sell their muscle cars.